Its nice to get a gift! Great support and speeds, keep up the good work Bigpipe! BigPipe! 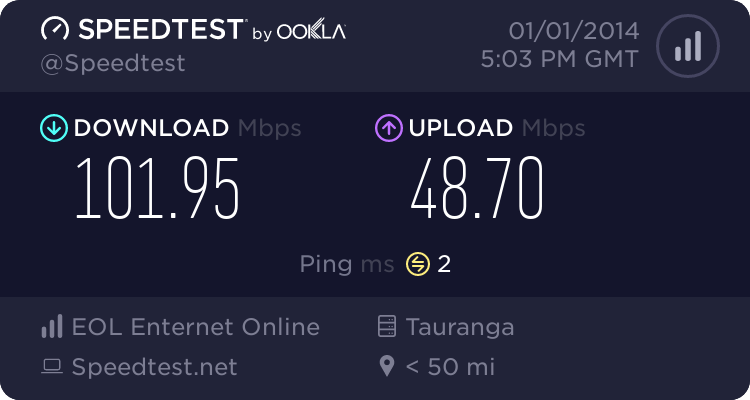 Bring on the UFB! I got an email too. Thank you Big Pipe! I got one too, Just need to find who to give it to as I dont apple. Cheers guys. Glad to know it's appreciated. BigPipeNZ: Cheers guys. Glad to know it's appreciated. 45Mbps now that would be nice...I'm sharing the neighbours wifi and most the time I can't get a connection on my main pc so get stuck using the slow as .... netbook lol. Good to see you guys sharing the love though. Sorry I won the Alienware "referral" competition through them heh.